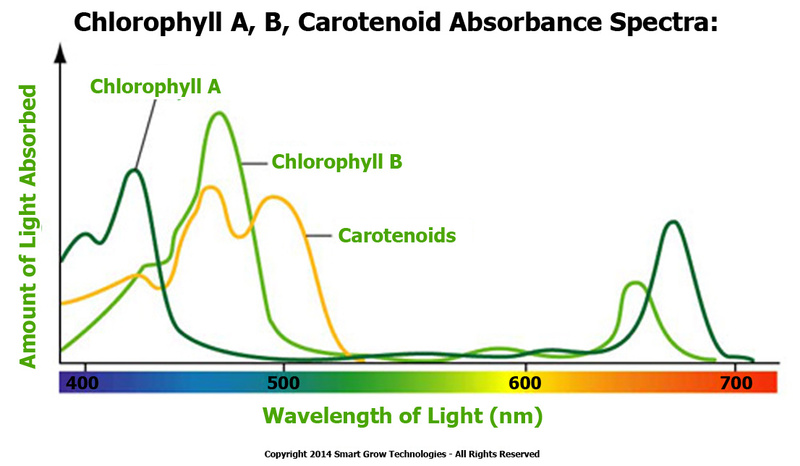 Below are some chlorophyll absorption spectra from other answers here. There is strong absorption at both the blue/violet end, and the red end of the spectrum, and presumably both of these contribute to steps in water splitting used in photosynthesis. Do the two broad but widely-separated peaks correspond to different steps, so that both are required? Or is it sufficient to have light present in one band alone? If both are required, how are they used differently? If not, why do LED grow lamps have both? Would twice-as-bright light with either wavelength be just as effective and useful to plants? That horribly un-natural purple light looks cool in high tech settings, but it's kind-of ugly in ones living room. Both Chl-a and Chl-b primarily absorb red and blue light, the most effective colors in photosynthesis. They reflect or transmit green light, which is why leaves appear green. The ratio of Chl-a to Chl-b in the chloroplast is 3:1.
above: From this answer, also seen here. above: x2 From this answer. Logically, either red or blue light should be sufficient. 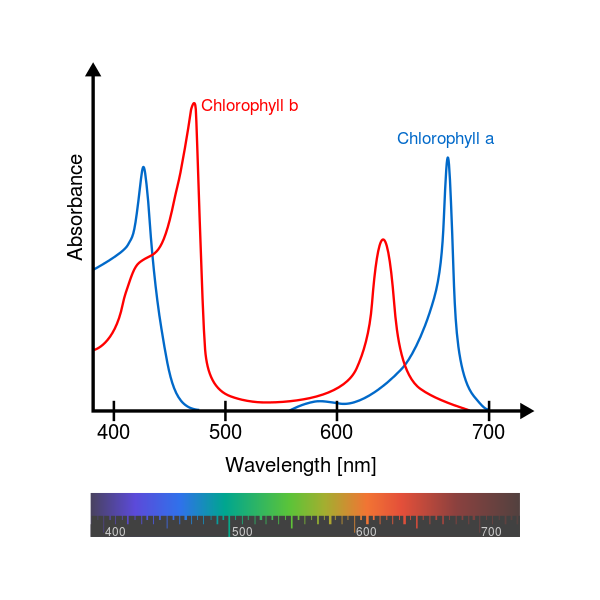 Chlorophyll a and chlorophyll b preferentially activate different photosystems, and both photosystems are required in green plants. Practically, we're in luck and someone has actually done the experiment. As the original study reports, plants need a little blue light to grow into the right shape. Red-only plants produce oxygen and grow, but they take weird shapes. It seems like plants can grow on red light, but they use blue light to work out where light is. See here for a reasonably lengthy treatment on most of the obvious combinations. Not the answer you're looking for? Browse other questions tagged botany plant-physiology photosynthesis light or ask your own question. 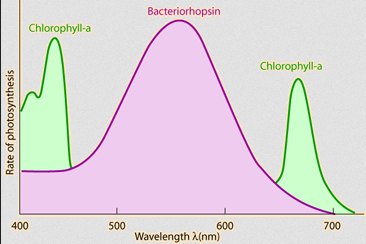 What does the spectrum of Chlorophyll fluorescence look like? Can “red” cone cells actually see much red light? How does blue, yellow and orange coloured light affect photosynthesis? Why do most plants reflect green and others other colors?